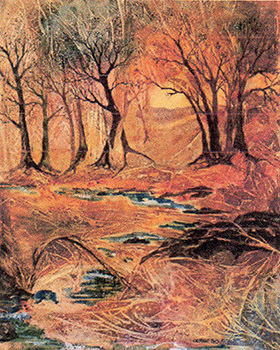 While Jan Wright holds several college degrees including a PhD, she didn’t begin producing art until she was near retirement. She studied at Oregon State University for three terms of oil painting, 1961-62. Later, rather than returning to college, she has studied with numerous local as well as nationally known water media artists including Chris Van Winkle, Citrus College, Spring 1998 -2015; Tom Fong, Mt. San Antonio College, Fall, 1999 to 2013; Betty Hook; three to ﬁve-day workshops with Zoltan Szabo, Milford Zornes, Skip Lawrence, Christopher Schink, Henry Fukuhara, George James, Eric Weingardt, Frank Francese, Betsy Dillard Stroud, Frank Webb; Dale Laitinen and Don Andrews; Gerald Brommer; and various other workshops and weekend courses; She currently continues her study including learning from the students she teaches. She has participated in well over 200 individual, 2-3 person and group art shows both locally and in state, national and international exhibitions winning awards in many of them including several “Best of Show.” Her work appeared in the 2016 exhibition of the Western Federation, an organization of 16 watercolor societies in the western half of the US and she was selected again in 2017 and exhibited at the Jordan Schnitzer Museum of Art at the University of Oregon from April 7 through June 30. She was named “Artist of the Year” by Chaffey Community Museum of Art in 2015. Her work can currently be seen at CCMA in Ontario. She is a frequent demonstrator and instructor for both objective and non-obj ective images in watercolor and acrylic. She works with all ages and experience levels and is teaching non-obj ective painting at Creative Arts Center in Sierra Madre, CA.